A leading international musician of our time, Vietnamese pianist Dang Thai Son was propelled to the forefront of the musical world in October 1980, when he was awarded the First Prize and Gold Medal at the Tenth International Chopin Piano Competition in Warsaw. It was also the first time that a top international competition was won by an Asian pianist. Since winning the Chopin Competition, his international career has taken him to over forty countries, into such world renowned halls as Lincoln Center (New York), Barbican Center (London), Salle Pleyel (Paris), Herculessaal (Munich), Musikverein (Vienna), Concertgebouw (Amsterdam), Opera House (Sydney), and Suntory Hall (Tokyo). Marriner, Pinchas Zukerman, Mariss Jansons, Ivan Fisher, Vladimir Spivakov, Dimitri Kitaenko, James Loughram, Jiri Belohlavek, Hiroyuki Iwaki, Ken-Ichiro Kobayashi, Pavel Kogan, Jerzy Maksymiuk, Sakari Oramo, and John Nelson. In the field of chamber music, he has performed with the Berlin Philharmonic Octet, the Smetana String Quartet, Barry Tuckwell, Tsuyoshi Tsutsumi, Pinchas Zukerman, Boris Belkin, Joseph Suk, and Alexander Rudin, and he has played duopiano with Andrei Gavrilov. Some career highlights include a New Year’s Day concert (1995) with Yo Yo Ma, Seiji Ozawa, Kathleen Battle, and the late Mstislav Rostropovich, in a major international event produced by the Japanese Broadcasting Corporation NHK; in January 1999, a Gala concert opening the Chopin year, where he was the only foreign artist invited to appear as soloist with the Warsaw National Opera Theatre Orchestra; concerts in Isaac Stern’s last festival in Miyazaki, Japan in 2001, which included three performances with Pinchas Zukerman; and a special performance as the only guest artist at the Opening Gala Concert of the Fifteenth International Chopin Piano Competition in Warsaw, where he was also a member of the jury. Dang Thai Son is frequently invited to give master classes around the world – such as the special class in Berlin in October, 1999, where he taught alongside Murray Perahia and Vladimir Ashkenazy, who extended the invitation. 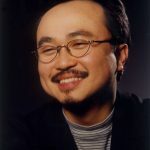 Since 1987, he has been a visiting professor at the Kunitachi Music College (Tokyo), and currently, he teaches at the Université de Montréal (Canada). He has sat on the juries of such prestigious competitions as the Cleveland (USA), Clara Haskil (Switzerland), Hamamatsu (Japan), Rachmaninoff (Russia), Piano Masters of Monte Carlo, Sviatoslav Richter (Moscow), Chopin (Warsaw), C. Bechstein (Germany), and Villa-Lobos (Brazil). In 2007-2008, he will serve on the juries of the Vladimir Viardo (Dallas), 4th China, Arthur Rubinstein (Tel-Aviv), Montreal, and Second Sviatoslav Richter International Piano Competitions. Dang Thai Son has recorded for Deutsche Grammophon, Melodya, Polskie Nagrania, CBS Sony, Victor JVC and Analekta.